Canada has revealed new information pertaining to the details about how immigrants integrate into a new society. Statistics provided by ‘Access to Information Act’ has revealed information on immigrant population that is considered to be the best in the world. Canadian permanent residency can be gained by individuals through 60 plus immigration programs that the country has. 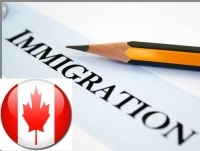 Following the grant of permanent residency immigrants are privileged to reside and work anyplace in Canada. Skilled worker and Provincial Nominee programs are the one’s under which significant number of immigrants enter Canada. Immigrants in Canada volunteer for additional hours and provide larger donations towards charity compared to the native Canadians. The overall figures showed that many children of immigrants have succeeded both professionally as well as financially. Canadian immigrant children achieve higher on Programme for International Student Aptitude (PISA) tests compared to the immigrant children of France or US. Besides, earn 6 to 10 percent higher earnings in their careers compared to those born to native Canadians. Immigrant children have represented wide variety of fields gaining considerable fame at the national and the international level.